singapore – Page 10 – What Does The Fox Says? In this research project, headed by Professor Kristy of ADM, we will be looking at the cultures and histories of Singapore through unique Singaporean dishes and mapping them onto Singapore’s map. 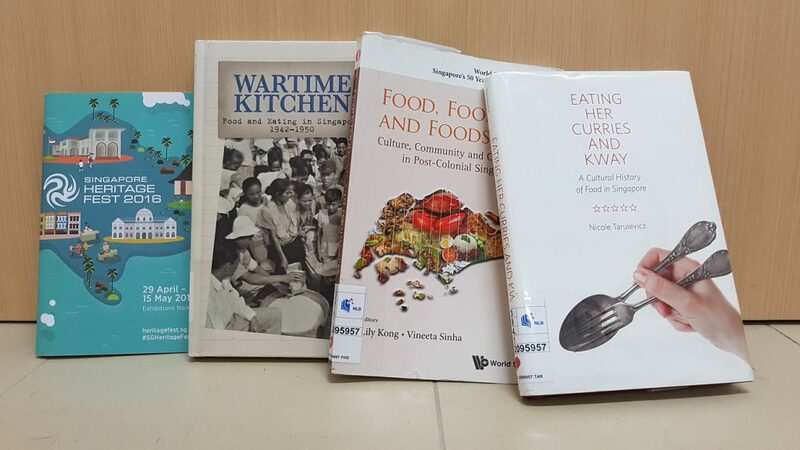 The first half of the semester focuses on understanding the research and looking through and identifying dishes that are unique to Singapore that can be “mapped” and tells the story of the Singapore through the dish. Somethings to note about the history of Singapore – modern Singapore is a multicultural and multi ethnic sovereign state where people of different race and religion lives together in peace for more than 50 years after the separation from Malaysia. This Discovery channel documentary from 2009 provides a brief look into the general history of Singapore. The documentary was pretty informative as it does not shy away from the darker side of Singapore’s history – such as opium trade and prostitution that was often censored out in shows and publication for the masses. Due to the unique influx of immigrants from surrounding Asian countries and Europe (mainly British, az Singapore is a British settlement), Singapore came to be in a state of an amalgamation of different ideas, thoughts, beliefs and of course – food. Through this research project, we hope to make a virtual map where one could learn and understand the often overlooked cultures and histories of Singapore that most Singaporeans took for granted. What kind of food was created here? Why was the food created this way? How did these food came to be? How did the food became what it is today? How did the food adapted itself to Singapore’s taste bud? These are just some of the questions I ask myself while researching. Some of the research materials includes a couple of books and National Library Board’s Infopedia. The books include Eating Her Curries and Kway; Food, Foodways and Foodscapes; and Wartime Kitchen. It should be noted that there are dietary restrictions for the different groups of Singaporeans. Some includes Muslim are only allowed to eat Halal-certified food (ie no pork), Hindus and some Buddhist do not consume beef, and that there is a significant number of vegetarians in the island city. Some dishes were then adapted to allow for these restrictions. The next post will talk more about the draft list of Chinese dishes that I have compiled.